Iran, led by President Mahmoud Ahmadinejad, is reportedly supporting the Taliban, its former enemy. Aug. 15: The United States is ready to add Iran's Revolutionary Guard to its list of foreign terrorist organizations. NBC's Kelly O'Donnell reports. A history of modern Iran and its love-hate relationship with the United States. 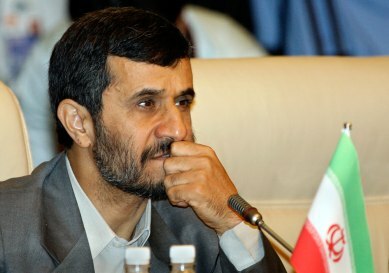 Sept. 18: Watch TODAY’s Ann Curry’s exclusive interview with Iranian President Mahmoud Ahmadinejad. In dealing with Iran, what is Israel's strategy? Turkish invasion of Northern Iraq?